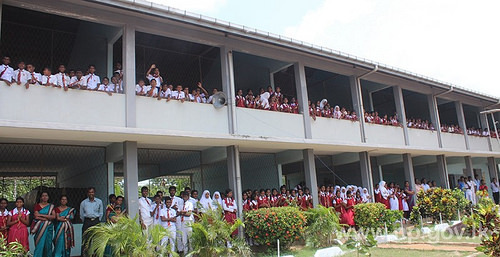 Opening ceremony of a new classroom complex of Mannar Adampan Madya Maha Vidyalayam was held on 11th October 2014. Minister of Economic Development Basil Rajapaksa graced the event as the Chief Guest. Minister of Industry and Commerce Rishad Bathiyudeen, Governor of Northern Province GA Chandrasiri and High Commissioner of Islamic Republic of Pakistan Qasim Qureshi participated as special guests.